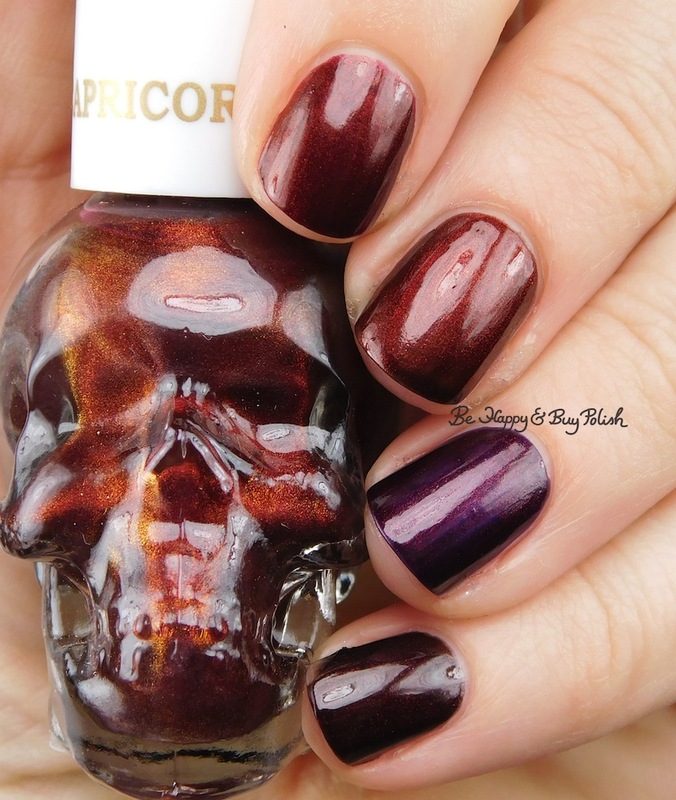 So when I was swatching the Zodiac nail polish collection from Hot Topic’s Blackheart Beauty line, I thought that Capricorn looked familiar. 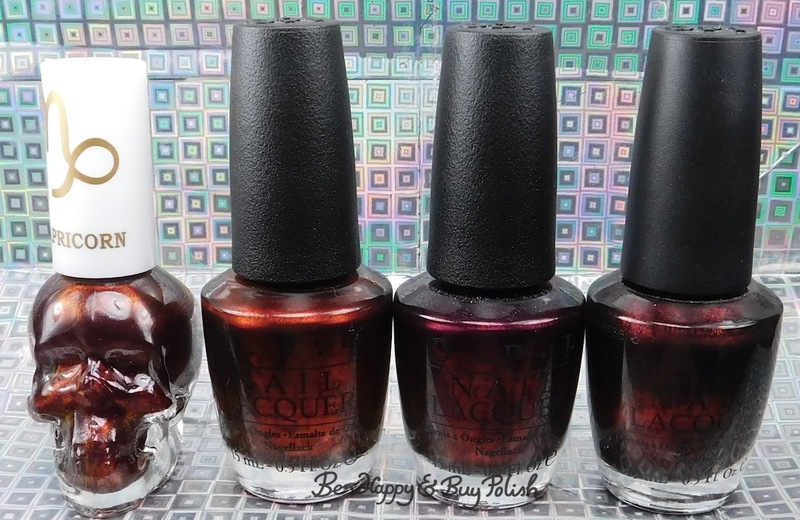 I went through my OPI polishes and pulled out three I thought looked similar. I guess maybe my memory is going but I don’t remember Every Month is Oktoberfest being so purple based! I was also surprised on how dark Midnight in Moscow is! But Capricorn is very close to a dupe of German-icure – I would say it’s missing a bit of the same fieriness as German-icure though. 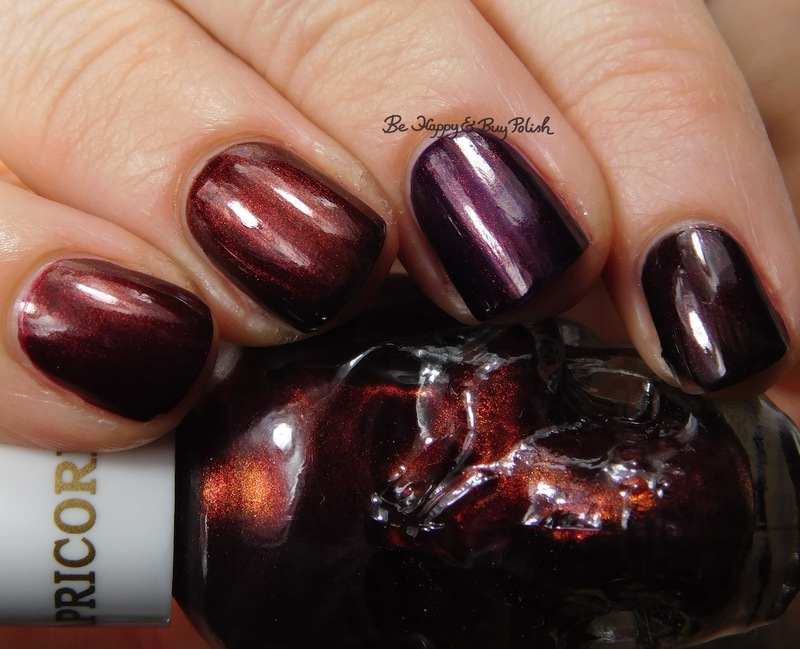 Btw, did you see the other dupe post I featured with OPI Suede We’ll Always Have Paris and Virgo? I wonder how it compares to SC Rich in Heart. Great comparisons! Oh! I have that one, I think. I’ll check. I love these comparison posts. While in theory I think it will help dissuade me from purchasing too many similar polishes, if there is a particular color that I love, I will buy pretty much every version of it. Such is polish addict life. I always justify getting a similar color! “But it has flakes/shimmer/contrast!” Haha! I love those 3 from OPI! I keep forgetting how good some of their polishes can be!